“The Farmgirl” is a charmer and so eye-catching, you may want it to be the backdrop of your wedding ceremony. 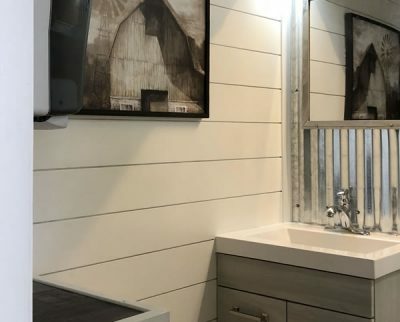 The exterior boasts a fancy farmhouse look with white, slightly weathered shiplap and large shimmery flourishes. 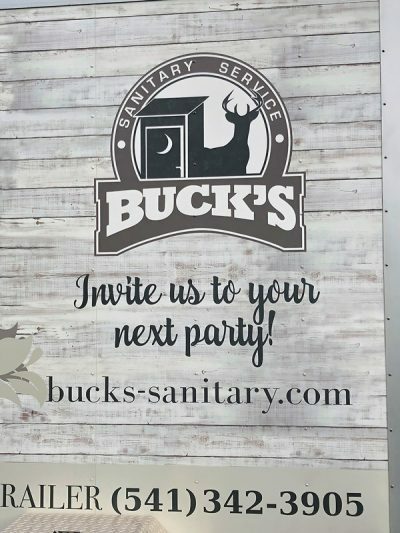 It has two separate unisex spacious rooms, each outfitted with a toilet and sink (the basics). Neither room has a urinal. 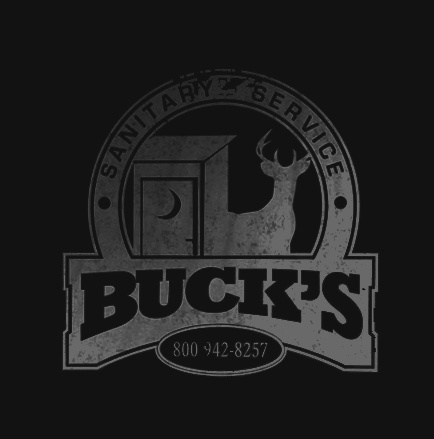 We have interchangeable signage, so you can easily designate who uses the restroom. 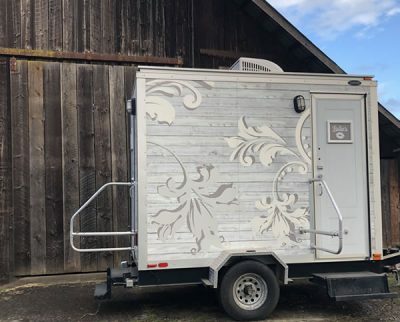 Many brides have chosen to designate this trailer as “women only” and rent special event unit(s) for the men. The Farmgirl’s interior has a fresh farmhouse appeal. 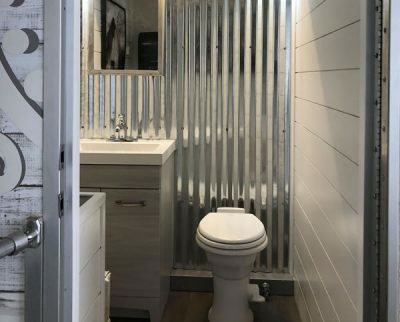 The walls are finished with a combination of corrugated metal and white shiplap. Beyond the basics, each room has a coat rack, a courtesy shelf, a full length mirror, and is tastefully decorated. If your event is in a primitive location without access to power or water, please inquire about our remote package.